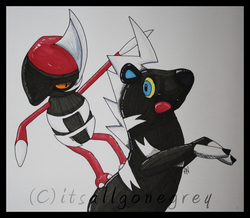 I took one look at Pawniard, way back when it was first revealed, and fell in love with it. I'm not sure why; it is just simply badass, and I love the whole line. 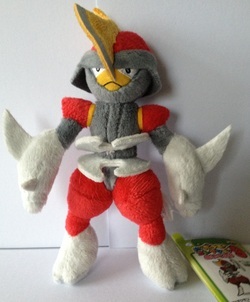 MPC Plush are a plush line which produces plushies of every GenV pokémon. I have 2 Pawniards; one lives on my back, and this one is minty in my collection. 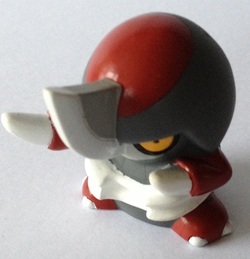 Kids figures are 2 inch tall hollow plastic figures with loads of detail. This one is a gorgeous baby Pawniard! 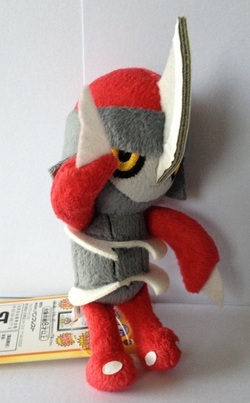 MPC Plush are a plush line which produces plushies of every GenV pokémon. 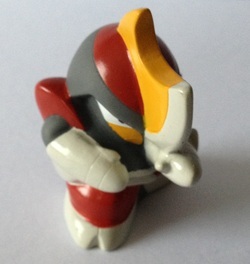 This Bisharp is from a special movie set, which was quite hard to get hold of, but worth every minute of the search. Kids figures are 2 inch tall hollow plastic figures with loads of detail. 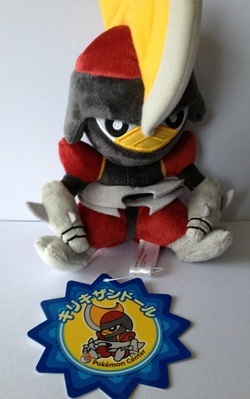 This one was created for the 15th anniversary set of kids, and came with a card and a huge box.